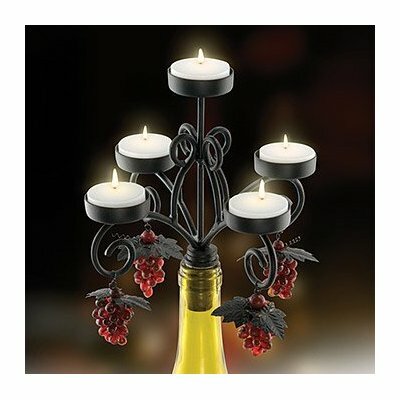 Your grandmother, back in the day, re-used wine bottles as candle holders - for a single candle. She may have also had a candelabra, generally an ornate silver, bronze, or metal multi-candle holder on a pedestal. If you missed the candelabra era, don't worry... it's back. This time, with a twist. 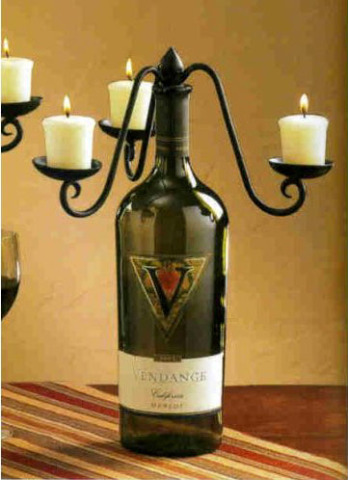 Instead of the candle holder's decorative arms being cast on a pedestal, the new candelabras are designed with corks to pop into the top of your empty wine bottle. Someone must have seen an old Chianti bottle with a drippy candle in it and said, "I can do better than that!" 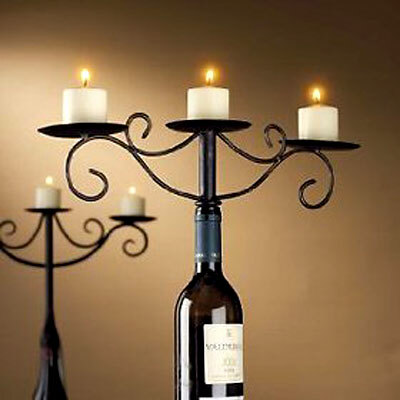 A sweet gift for lovers, or even older couples, the Two Candle Wine Bottle Candelabra keep its candle holders relatively low. But I'd still watch the size of the candles inserted; you want to keep the center of gravity low. 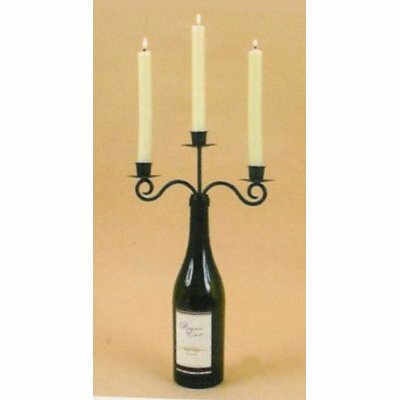 Nicely scrolled arms punctuate the design of this sculptured steel 3-candle holder. 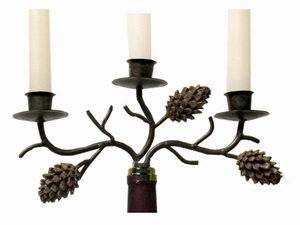 Antique bronze finish with flat plates to hold short candles! Found at Amazon.com. 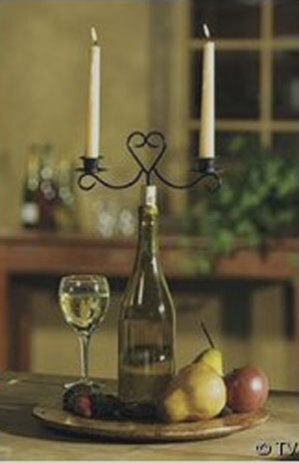 With a four-pound shipping weight, it's a good thing this wine bottle candle holder is "low cut," if you get my meaning. 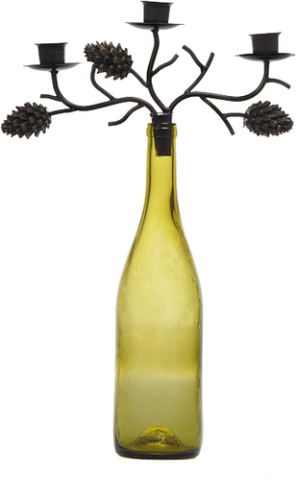 The scrolls add flair and sense of humor to the arms as pedestals, and the cork topper would make King Arthur feel right at home. Cyberchondria & The Art Of Googling Oneself Silly!